Yesterday’s PuB NiGHT was at Morrissey Pub. It was great to see all these new faces! Thank you for coming! 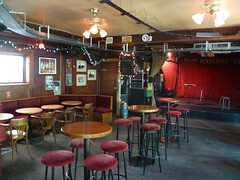 Morrissey Pub is a rock bar on Granville. Every day they have a different special and on Wednesday they also have Wings Wednesday like most of the places in Vancouver. On Fridays and Saturdays there is a local DJ playing rock, indie, new wave, Brit Pop and hip hop music. Not the typical pub, right? 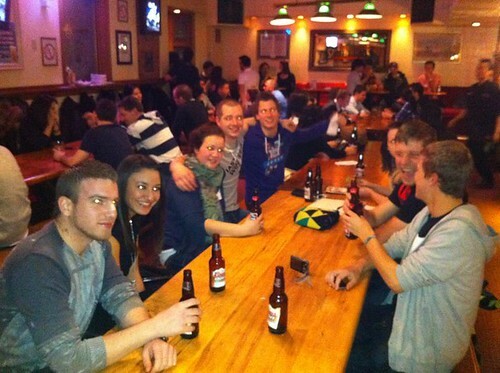 A lot of the new candidates came to the PuB NiGHT. It was really great to have a chat with you and to hear about your placement. Besides that, Sebastian had his birthday and brought cake for us. The pub even arranged candles and plates for us! We sang Happy Birthday for him and then we all started to eat the great cheesecake. The atmosphere at the PuB NiGHT was great and suddenly people even started to sing. We sang as loud as we can and after that we started to talk about the INTERNeX song. Last year the INTERNeX family had claimed a song. We still have not decided on a song yet. If you have any suggestions, let us know! Afterwards we figured out there was a photobooth in the pub and tried to fit 5 people in there. Even though we managed to get everyone in there, only 2 people were visible on the pictures. See you on Saturday at the 24 hours of winter! It is Sunday, so it is also time for our weekly smart saver. This week we also found another great smart saver for you – how would be a music festival for free? Make Music Vancouver is a music festival with over 100 musicians for free which is inspired by La Fête de la Musique from France. On June 25 the Water Street is shut down to traffic and is transformed into sidewalk stages and dance floors. 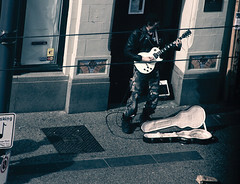 You will see bands of any kinds of music, everything from rock and reggae to classical, jazz and punk. Last year, 25,000 people turned out for the event, so it is supposed to be a really big party. So join the party on June 25, 5 pm – 10 pm at Water Street in Gastown for free! Find more information like the Line-Up and times on their homepage! 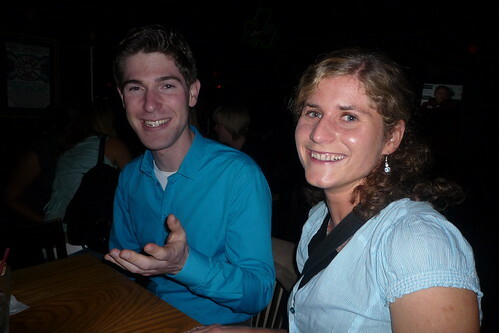 Yesterday, we went to The Railway Club for our weekly pub night! The music was excellent, they usually have amazing concerts. We could enjoy three fantastic rock bands: Double Fuzz, Ornament and Crime and Still Spirit. The pub was very cool. There was a little toy train that passed every few minutes over our heads, very funny! The special beer was The Moose Head. Of course, all the Canadians brands must to have the word “moose”, “maple” or “beaver”. 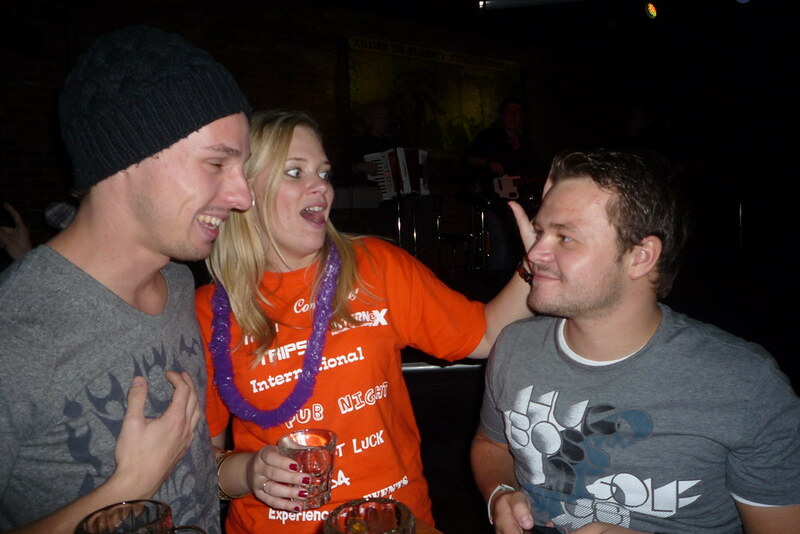 It was the first pub night for our new PR, Jelle . These nights are an excellent occasion for us (the super PR team) because all of us are new in the city and we are looking forward to meet a lot of people. So, don’t be shy! If you didn’t come, you have to join us the next time. Most of them were from Germany, so we could talk about our loved Europe, shared impressions about Canada, and learnt some Germans words, ich danke ihnen! And we were talking about the next Saturday trip to Richmond Go-Kart too! If you are thinking about come or not, don’t hesitate! It will be fantastic. We have postponed this trip several times due to weather, but this time will be the good one! Coming back home Jelle and I saw a couple of raccoon’s in the middle of the road! I had never seen one before, they are so cute… We don’t have pictures because it was very dark. Maybe the next time! INTERNeX Canada: New PuB Night Announcement! Tomorrow evening we will celebrating this nice warm week with cool drinks and good live music for our weekly pub night! 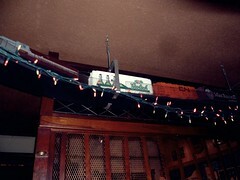 I’m talking about the Railway Club located in Dunsmuir St. in downtown Vancouver. There will be some of the best live music in town! The pub will host the Double Fuzz blues rock duo from Calgary. The live music will begin around 8:30, and there is a free entrance if you arrive before the show starts. Otherwise you have to pay a $7 fee, so be on time folks! It sounds fun right? We hope to see all of you tomorrow, and remember to join us in our Facebook Event! Hi guys! How’s everyone doing? Looking forward to all the awesome events that we are organizing for you? Here is a summary of all the events that are coming up the next couple of weeks! Have a look :D!! There is a reason to party again! The Blarney Stone’s first annual “Cinqo de Mayo” fiesta will take place on Thursday, May 5 in the good old Blarney Stone, Gastown. Shake your Maracas for a Taco Gorging, Beer Guzzling, Tequila Slamming, Pinata Hammering etc. !! There will be a traditional Mexican Mariachi Band “Los Dorados” playing that night, followed by a special guest band & DJ! The building will be BURSTING with tacos, tequila poppers, piñatas, specials on the best mexican brews!! Bring your own sombrero and score some cool prizes! 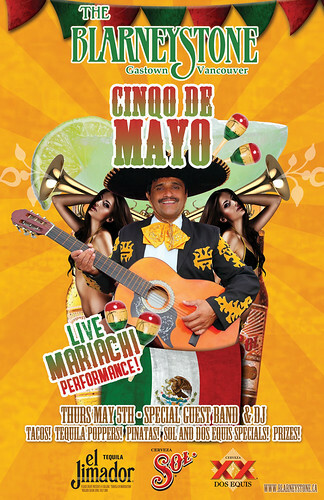 All happening this May 5th at the ONLY party in town guaranteed to leave you screaming ARIBA ARIBA – ANDELE ANDELE!! Get your Mexico on, ARRRRIIBAA!! INTERNeX can provide you with tickets! Just come by our office or call George (6044402726) on Thursday evening when you are in front of the Pub. If you would like to watch the Canucks game with us, you can join us around 6pm. If you want to join us later, make sure that you come before 9.30pm to receive free cover and a free shot of Tequila! After 9.30pm the cover will be $10! Why: Party like the Mexicans! Get your Mexico on!! 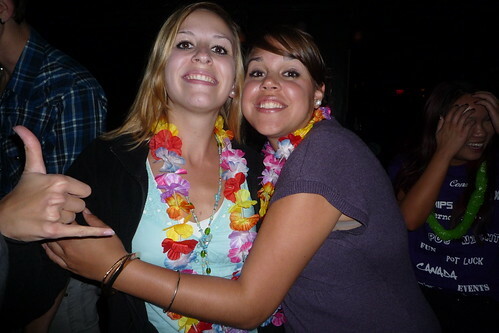 Specials: Free Cover + 1 free shot of Tequila until 9.30pm/Drink specials!/Win prizes! 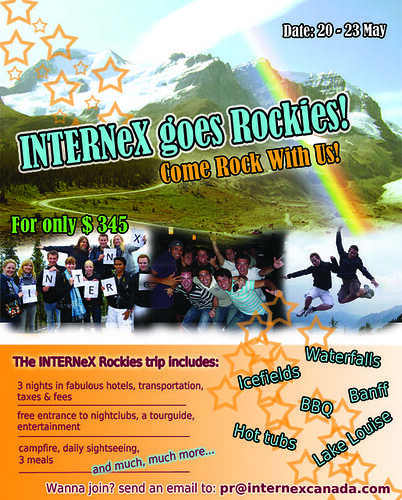 INTERNeX organized a 4-day trip to The Rocky Mountains. We will start this unforgettable trip on Friday morning the 20th of May until Monday evening the 23rd of May. So far we are with a group of 25 people! Besides the fact that you will have a great time with other INTERNeX’ers, there’s also a change to meet new people who are joining the trip with West Trek. – Daily sightseeing through some of the most incredible and stunning scenery in the world! Some of the amazing things you will see during the trip: Lake Louise, Banff, Spahat Waterfalls, Several National Parks, Icefields Parkway, Maraine Lake, Peto Lake…. and much, much more!! The deadline to sign up has already expired, however if you still REALLY want to join, let us know! We will try to put you on the list! If you would like more information about this trip, don’t hesitate to contact us at pr@internexcanada.com. For our first Friday pub night, we’ll be meeting at the Maddy. Come down and join us for a pint! As usual, we will meet on the patio or the long wooden tables adjacent to the billiards. THAT was a PuB NiGHT! Beer, Games, Friends, Fun , laughter and you! It was the last for the summer season, but not the last for the year – there are good things to come in Winter! Thank you all who came to say goodbye and to the new once who just arrived in Vancouver that now know that INTERNeX PuB NiGHT rock! This crazy night finished with some driving around the city in shopping carts and unfortunately for one a visit to the dentist;). Ruud won the ticket for Whistler offered by West Trek after a long battle with our lovely German candidates Melanie and Mona and finally won a face to face with Nicolas the French competitor. You should come next time and try to get into the Beer Pond fight for a free trip with the awesome guides of West Trek! Oh! And by the way, welcome to our new PR intern Tracy. She was definitely a great little firecracker last night, and had a lot of fun with you guys! 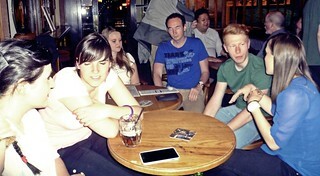 To see all the photos of the PuB NiGHT, go on Flickr or on facebook to have a look at your crazy faces.